Today I almost allowed my whole day to pass without giving myself the gift of artistic expression, but I am learning, growing, and working beyond what would have shut me down in the past. I am thankful that it is Art Every Day Month and I have my goal set. 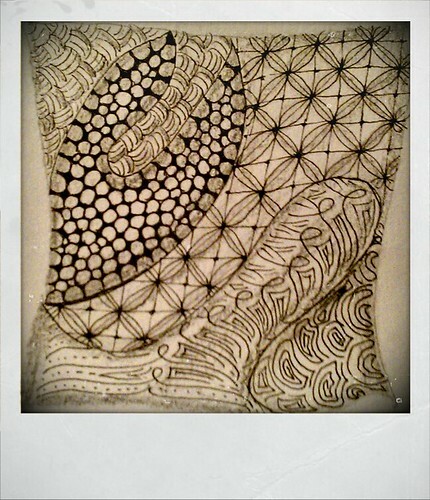 I had never heard of Zentangle. Very cool!